Oh no! 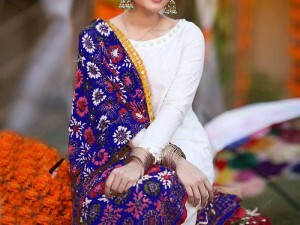 Chiffon Embroidered Bridal Lehenga is currently Out of Stock, please browse other products from relevant category! 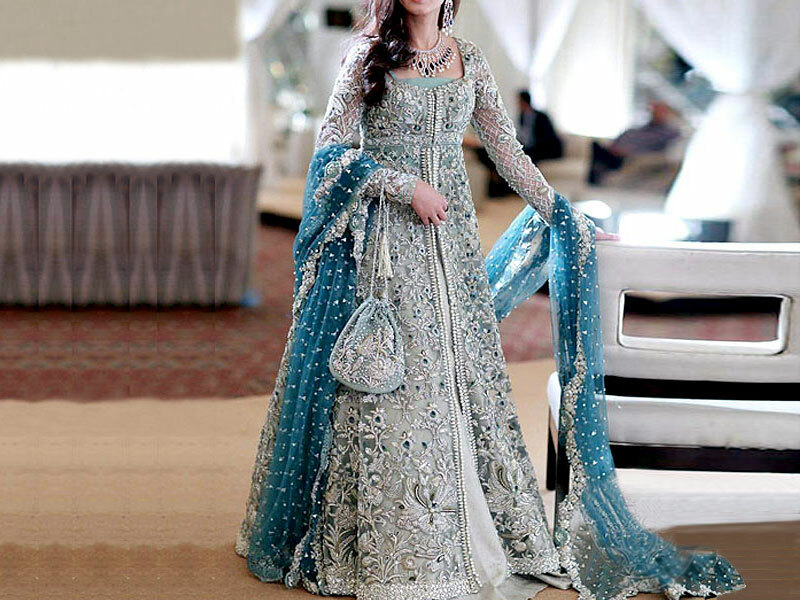 Lehenga is a superb special occasion wear and especially is great for wedding events in Pakistan. 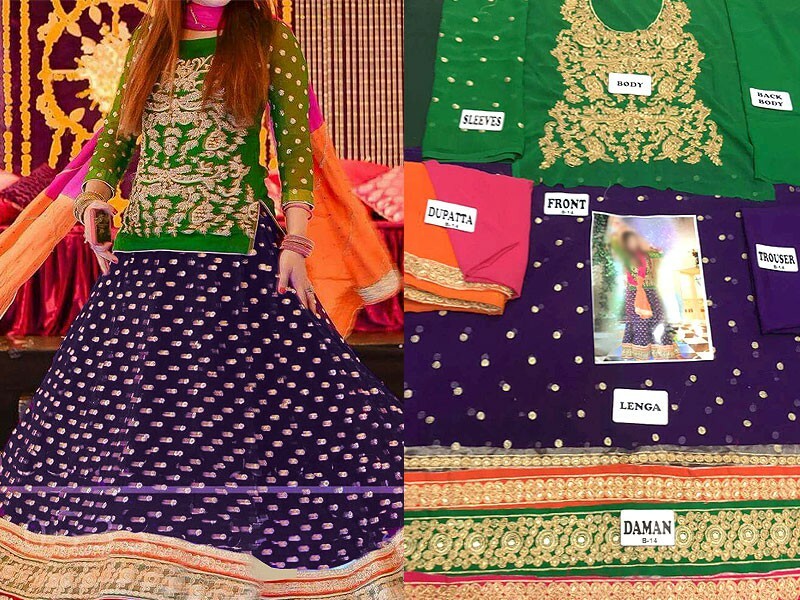 This Lehenga is a beautiful multi-toned dress that will flatter all skin tones. If you are on a budget and it's a wedding of a close relative, you can easily style up this lehenga to look ravishing for the event. 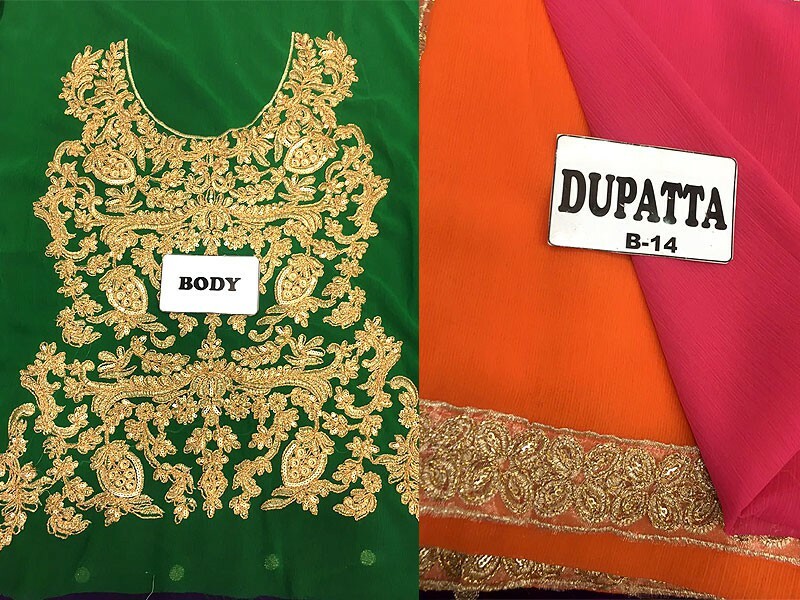 This Chiffon Embroidered Bridal lehenga is an unstitched suit that comes in four pieces, featuring the dupatta, shirt, lehenga, and trouser. 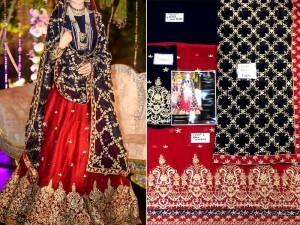 This Embroidered Bridal Lehenga Dress is completely made of good quality chiffon and has zari & sequins embroidery work, along with Dori work on it. 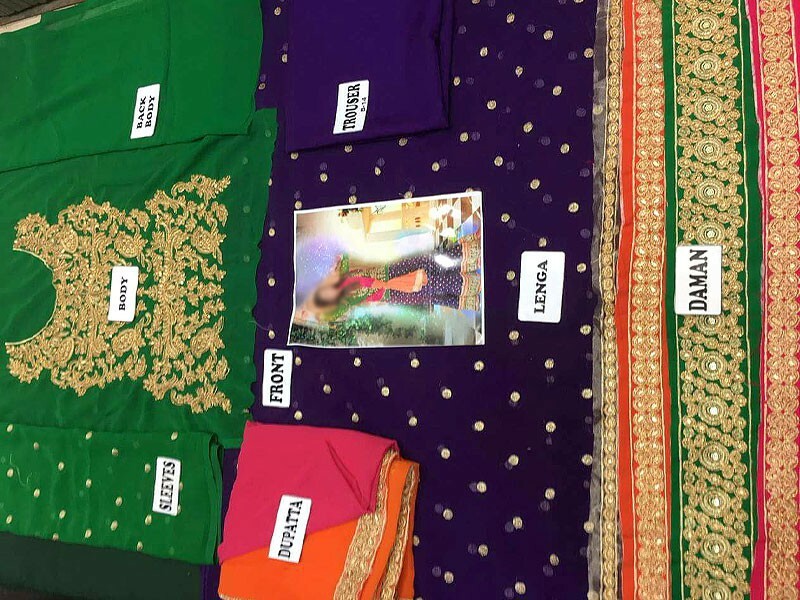 The shirt is in beautiful bridal green color with a deep purple lehenga and trouser, along with a duo-toned dupatta in hues of pink, plus orange. 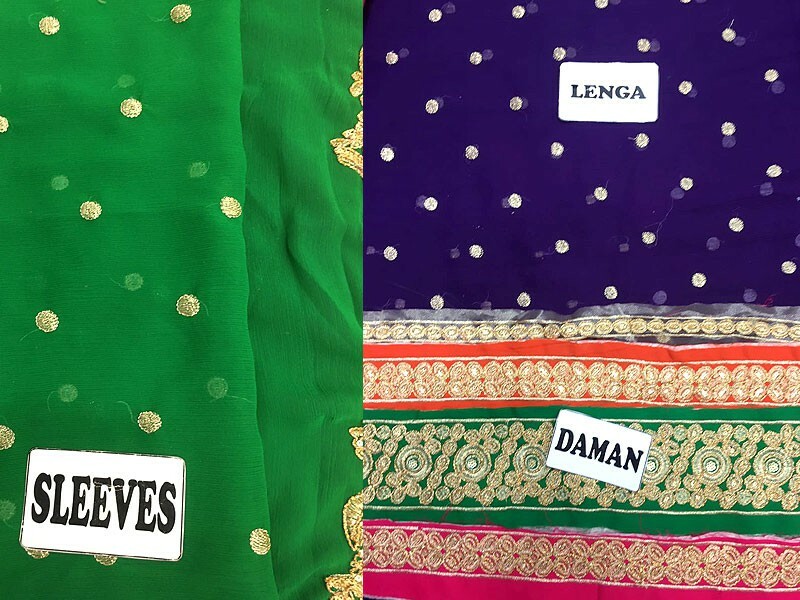 With an extravagant three colored zari work border for the lehenga, sums up the finishing touches for this elegant lehenga dress and if you are not a big fan of lehengas, you can also get it made as a pretty anarkali style frock. Chiffon Embroidered Bridal Lehenga Price in Pakistan (Code: M009035) offer by PakStyle are just Rs.3295/- instead of Rs.4500/-. 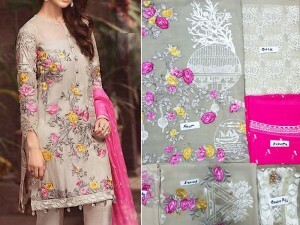 You can also find the price for other related products like Womens Clothing, Womens Dresses, Chiffon Suits, Lehenga Dresses, Mehndi Dresses in Pakistan at PakStyle.pk!